The National Institute on Drug Abuse reports that 5.7 million people in the United States used prescription pain killers in 2011. That number was up 2.8% from 2010. 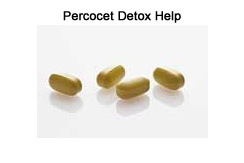 There is no denying that many Americans overuse and misuse prescription drugs, many want to believe Percocet Detox. Percocet is a combination of oxycodone and acetaminophen (Tylenol). Percocet is an opiate narcotic and it is used to treat severe pain. Extended use, especially in high dosage has the potential for dependency. Percocet affects the central nervous system and tricks the brain into substituting feelings of euphoria and contentment for pain. With each use, the recreational user wants to achieve the same feeling of euphoria as the time before and as a result they may increase the dosage. In some cases, the individual will overdose. Symptoms of Percocet overdose include slowed heartbeat, bluish fingernails and skin, jaundice, sweating, vomiting, low blood pressure, lethargy, difficulty breathing, coma and respiratory arrest ultimately leading to death. Side effects of Percocet use may include constipation, lightheadedness, dizziness and drowsiness, itching, dry mouth, abdominal pain, nausea and vomiting, difficulty breathing and irregular heartbeat, loss of consciousness, confusion, seizure, difficulty urinating, nausea, abdominal pain, itching, jaundice and vision problems. Percocet, when taken with alcohol or other medications, can have adverse and even fatal results. Seniors may be more susceptible to the side effects. If you stop taking Percocet abruptly, withdrawal symptoms may begin within six to eight hours after the last dose. Withdrawal from Percocet can be very uncomfortable and even painful for some. The withdrawal symptoms can be so uncomfortable, that in some cases individuals will start taking the drug again just to ease the symptoms. Percocet withdrawal symptoms may include fever, insomnia, anxiety, flu like symptoms, severe abdominal pain, runny nose, watery eyes, muscle pain, and sweating. Medical detox from Percocet is available through outpatient clinics or a doctor's office or through inpatient hospital or private detox. Outpatient medical detox allows the individual to self report to the clinic or doctor's office to receive medication and detox at home. This option allows the patient to still maintain their daily routines. In most cases methadone or Suboxone is prescribed as a long term replacement therapy drug in Percocet Detox Treatment. Caution is advised as these drugs are as dangerous, and in some instances even more so than opiates, and accidental overdose leading to coma or death is possible. Some people mistakenly think these drugs are safer because they are prescribed by a physician, but accidental methadone overdose deaths have risen dramatically over the past 20 years and now exceed overdose deaths of all other opiates combined. Traditional hospital and private detox are a little different as they provide a place for the patient to stay for a specified amount of time and detox. Traditional hospital detox usually places patients in psychiatric units on lockdown and they use oral medications such as methadone and suboxone that many patients complain is not very effective at relieving their withdrawal symptoms. This leads to many people leaving detox before they have completed it. IV therapy medical detox uses intravenous therapy which makes it possible for the medication used in detox to be adjusted as the patient's withdrawal symptoms change which keeps the patient comfortable and able to complete the detox successfully. When your detox is complete, you may find it necessary to enroll in a program to help you rebuild your life after Percocet. Freedom Model Retreats offers an educational cognitive behavioral program that will help you recognize your patterns of thought and behavior that have been so harmful to you. Through the Freedom Model program, you will begin the process of self-directed change and develop new habits and behaviors that result in a life that is free from drug use permanently.